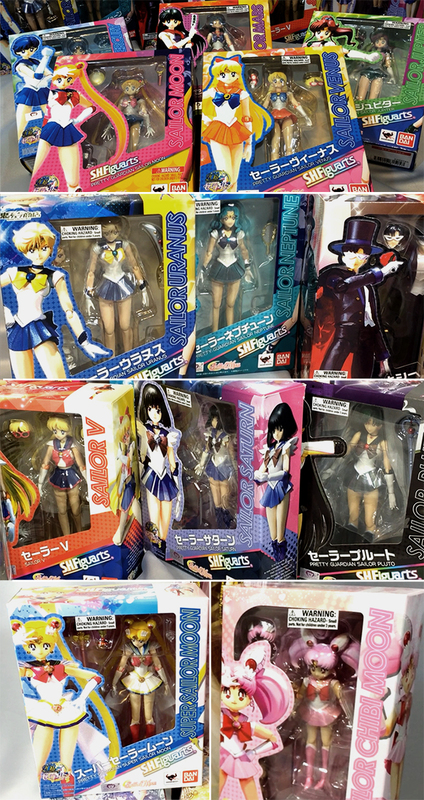 We’re just giddy to announce the collection of exciting Sailor Moon merchandise that we’ve gathered to send home with a few lucky guests as raffle prizes! Every guest will receive a base number of raffle tickets to spend on the raffle: VIP’s receive 5, and General Admission receives 3. During our upgrade sales in October, guests will be able to purchase more raffle tickets if they’d like to boost their luck! 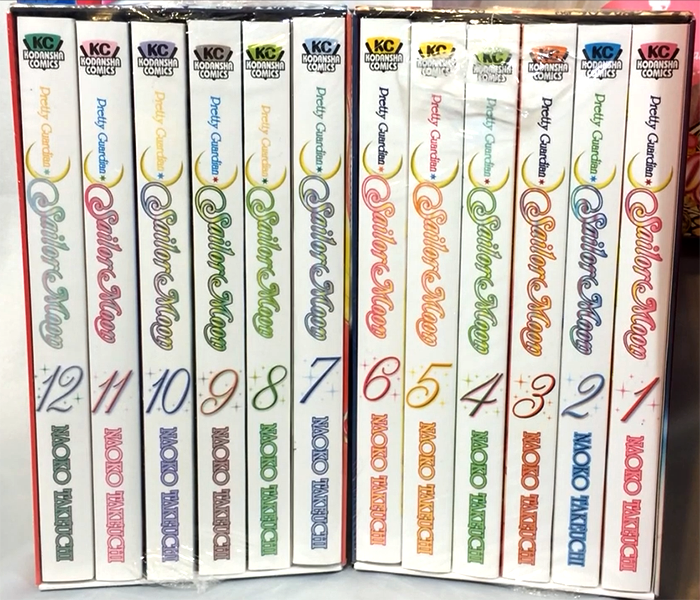 This full box set of the Sailor Moon manga was completely retranslated and redesigned by Kodansha Comics in 2011. It features gorgeous cover art, unflipped right-to-left reading true to the original Japanese manga, and comes in two beautiful boxes covered with gorgeous art from the series. Now’s your chance to own the entire collection! 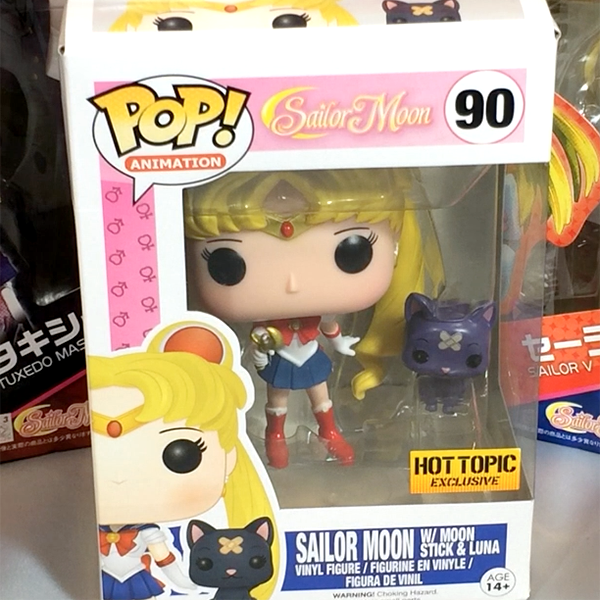 This adorable vinyl figure features Sailor Moon with her Crescent Moon Wand and a Luna to keep her company! This figure is the first of the Figurarts ZERO Sailor Moon line, and it is absolutely GORGEOUS. 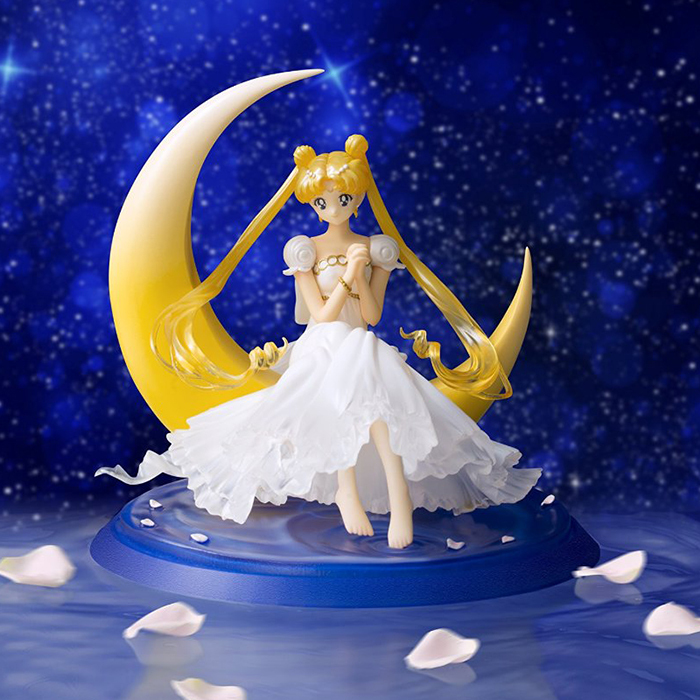 Princess Serenity rests on a crescent moon in misty waters decorated with rose petals, the fabric of her skirt fluttering around her in amazingly sculpted detail. You’ll fall in love at first sight! 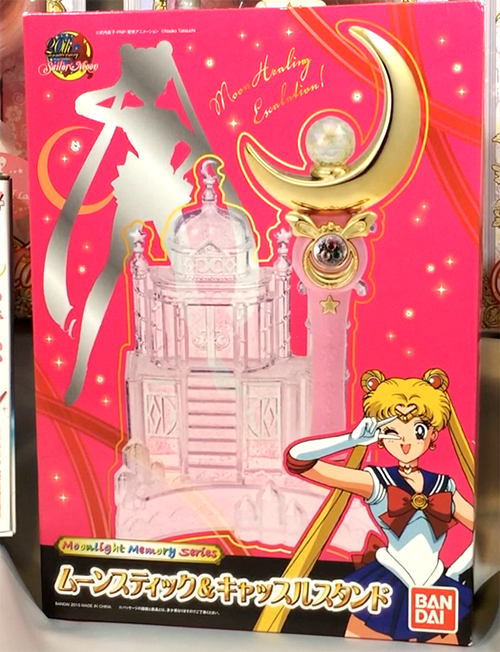 This Premium Bandai set comes with a replica of the Crescent Moon Wand, and a crystal clear sparkly holder for it modeled after Queen Serenity’s palace! This fresh, powdery scent will make you smell like a Moon Princess! 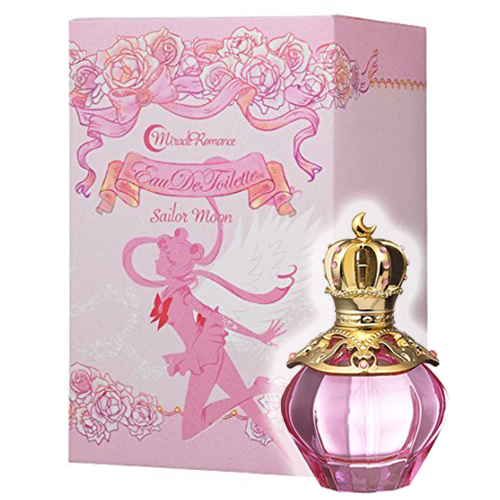 It comes in a lovely collectable bottle that’s gold plated and decorated with pink rhinestones with a moon-topped cap. Super elegant! 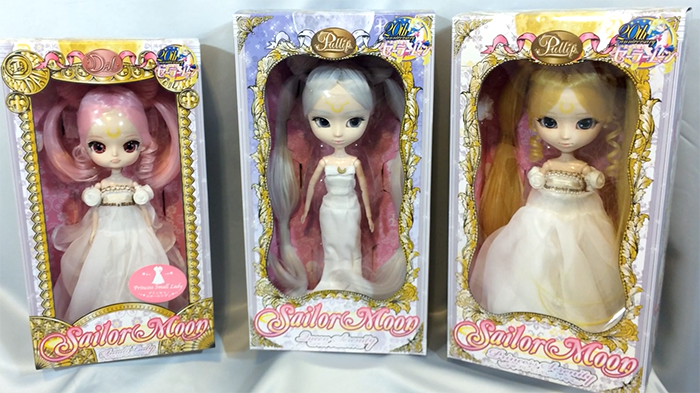 Raffled separately, these beautifully molded Pullip Dolls truly embody the spirit of the event in their elegant gowns. 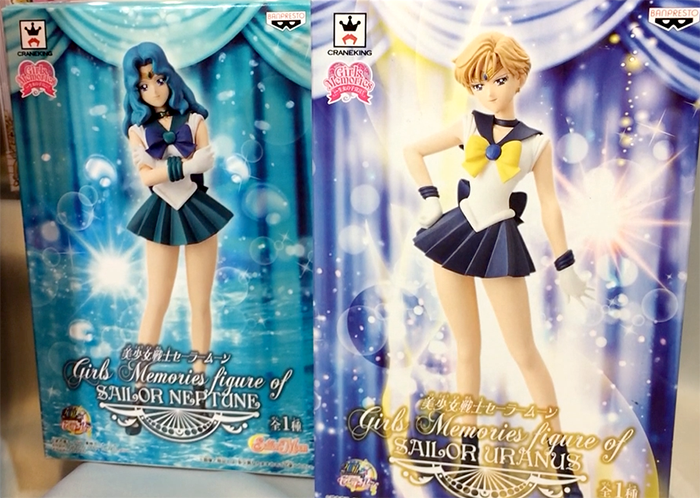 These prizes are the ultimate gift for any doll collector that adores Sailor Moon! Pick your favorite, or try to win all three! Raffle ticket upgrades will go on sale starting October 15th for $5/ticket. You may purchase as many as you wish. We hope you get your dream prize!